Tick Klock Drug offers complete pharmacy services to local-area customers including deliveries, compliance prescription packaging, individualized prescription and therapy management. 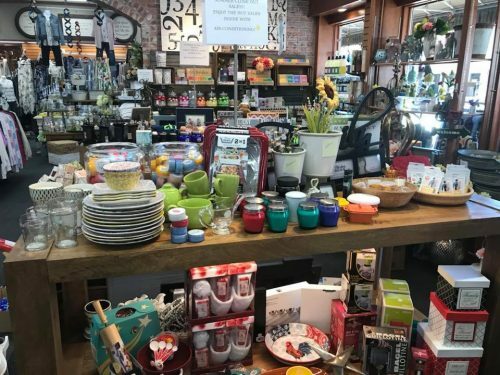 More than just a pharmacy, we also have an extensive gift shop, including cards, children’s products, women and men’s apparel, kitchenware, gifts and home decor. Stop by today to experience our personalized service and great selection of products! Our business is affiliated with the Washington State Pharmacy Association and the National Federation of Independent Business (NFIB). Tick Klock Drug, located in the heart of Colfax, WA is your stop for pharmacy healthcare on the Palouse. Not only can we fill your prescriptions, our pharmacists will work with you to make sure you understand your medications, providing tips and advice on how you can improve your overall wellness—whether you’re treating an illness or managing an ongoing condition.We’re invested in your health, which is why we also provide all types of OTC medications, assisted living devices and other products meant to help you live your best life. With local delivery, compounding services and blister compliance packaging, we’re able to help a wide variety of patients—from busy moms to elderly individuals, to those with mobility concerns and more. No matter who you are, what medications you’re taking or what your situation is, Tick Klock Drug is your partner for wellness. When you stop in to pick up your prescription, don’t forget that we’re so much more than a drug store. We’ve got women’s and men’s apparel, kitchen gadgets, stylish home décor, children’s toys and books along with baby gifts and clothing, giving you the opportunity to pick up whatever else is on your shopping list, all in one convenient place. With affordable prices and a great selection, we’re your one-stop shop, making it easy to leave with everything you came for… and more! Stop in today for what ever your personal needs may be. We promise you’ll love coming back to Tick Klock Drug! We are a licensed Pharmacy that employs Nationally Board certified Pharmacists and Pharmacist Technicians in addition to state licensed Pharmacy Assistants. Alongside our individualized pharmacy services, we also stock a huge inventory of clothing and gifts, making us your destination for just about everything! We’re members of the U.S. Chamber of Commerce, Colfax Chamber of Commerce and the Washington State University Alumni Association. Our staff is known for their friendly customer service. We’re always happy to answer your questions and help you find the products you’re looking for. Whether you’re picking up prescriptions or picking out a gift for someone else, Tick Klock Drug welcomes you. Stop in today and we’ll make sure you leave with what you came for and more!